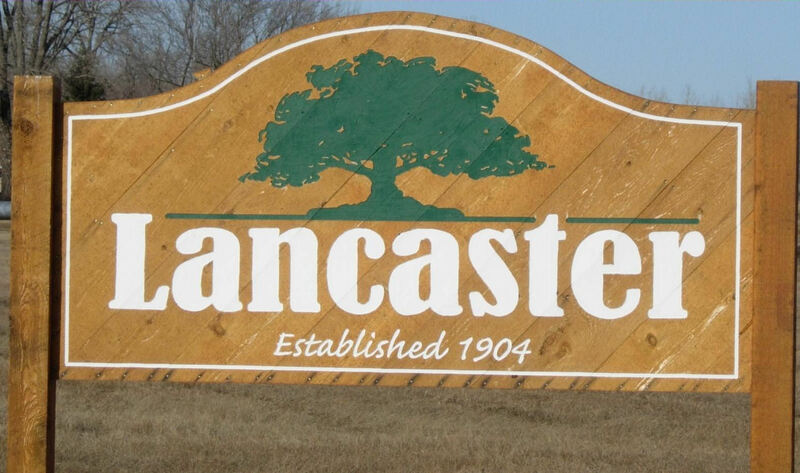 The Lancaster City Council met for its Regular Meeting on Wednesday, August 8, 2018, at 7:00 P.M. in the City Hall Meeting Room. The following members were present: Olson, Hilman, Bowlin and Peterson. Nordin was absent. Bowlin moved to approve the Council minutes of the July 11, 2018 regular meeting second by Peterson and carried. A copy of the Minutes will be posted at the Lancaster City Hall and U.S. Post Office and available upon request to the clerk. The council reviewed the August 2018 bills presented this night; any other bills that have been paid prior to this meeting to avoid late payments, receive discounts & meet payroll and all payroll expenses as approved in the 2018 Rates Fees & Appointments Schedule. Hilman moved to approve the bills, second by Bowlin and carried unanimously. An abstract of bills will be posted with the minutes and are available upon request to the clerk. Clerk reported that the city has received word that it is successfully passed the Pay Equity Compliance review. Compliance will be reviewed again in 3 years. Fire department has asked that the Fire Chiefs Annual Salary be increased to $1,500.00 for 2019 due to the considerable work load and responsibilities of the chief. Mayor asked that this be added to the 2019 Rates and Fees schedule and reviewed by the council at the annual meeting in January. Council discussed the regional area Mayor and Council salary information that has been gathered and that encouraging people to serve on the council is necessary. Bowlin moved to set the 2019 per meeting salaries as follows: Mayor $150 and Council Person $100.00, second by Peterson and carried. Council reviewed 2019 budget and tabled setting the budget to the September meeting. Fire Relief Association asked the Council to approve a raise in the annual retirement service level from $500.00 per year to $800.00 per year. The cost analysis from PERA shows that the Fire Relief Retirement fund is 227% funded at the $500/year level and would by 150% funded at the $800/year level. Bowlin moved to accept the resolution 2018-6 to increase the annual benefit for each fireman that is active on or after January 1, 2019 to $800/year for each full year of active service, second by Hilman and carried. No council present voted against. Mayor reported that the paving project by Knife River Materials is complete. The following change orders were approved by him: culvert installation on Hawaii Street $2,600.00 and 1foot additional width on 1st Street $1,345.00. Council reviewed the July financials for the City and Liquor Store. Peterson moved to advertise the Bush Hog 11 foot mower and John Deer loader for sale, council to review bids at the September 12, 2018 meeting with the right to refuse any and all bids, second by Bowlin and carried. Mayor reported that an individual was interested in buying the city lot in the Northwest corner of Central Avenue and Hawaii Street for a recreational vehicle. Council did not express an interest in selling the lot for RV’s only the construction of a new home. Clerk reported that due to updated nuisance that additional complaint and review-action forms have been developed and the mayor has issued the complaint and review-action forms to property owners. Council reviewed old campground rules and directed clerk to work on updating.